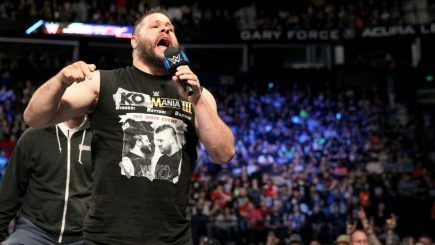 Kevin Owens is all over Montreal promoting Raw, winner of the 2018 Champion Carnival tournament, Dave Bautista part of record-setting film, movie based on Paige’s family moved back to 2019, a significant date in history for Canadian MMA, the main event for TUF Finale in July, and lots more. 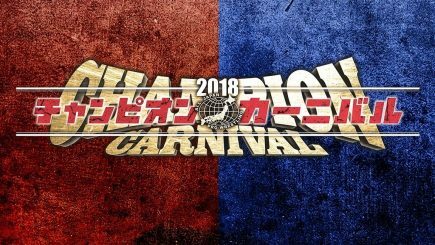 The finals of the 2018 Champion Carnival tournament took place Monday from Korakuen Hall with the tournament coming down to Triple Crown champion Kento Miyahara and Pro Wrestling NOAH’s Naomichi Marufuji. 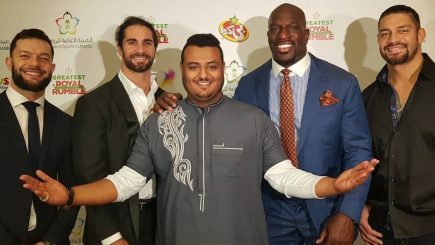 The General Sports Authority in Saudi Arabia apologizes for video at Greatest Royal Rumble, WWE’s statement regarding Sami Zayn’s absence, the finals of the Champion Carnival are set, Minoru Suzuki vs. Tetsuya Naito, Fedor Emelianenko stops Frank Mir, Impact number drops, and new Rewind-A-Wai on Backlash 2000. The main event of New Japan’s Wrestling Hi No Kuni card featured Minoru Suzuki defending the Intercontinental title against Tetsuya Naito from Kumamoto, Japan. John Pollock and Wai Ting review WWF Backlash 2000 featuring The Rock vs. 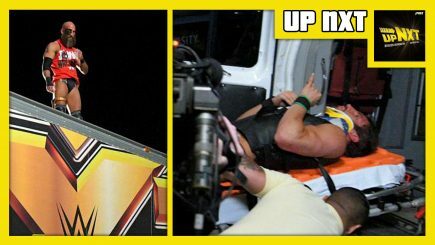 Triple H for the WWF Championship and the return of Stone Cold Steve Austin following a 6-month absence. Plus, Bubba Ray Dudley “gets wood” for Trish Stratus, Chris Benoit vs. Chris Jericho, Kurt Angle takes on “The Showster”, Scott 2 Hotty vs. Dean Malenko and more in this extensive 2hr 15min review. 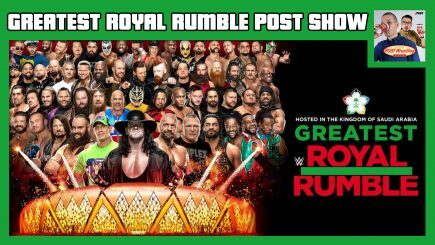 John Pollock and Wai Ting review WWE Greatest Royal Rumble 2018 featuring a 50-man Royal Rumble, Roman Reigns vs. Brock Lesnar in a steel cage match for the WWE Universal Championship, AJ Styles vs. Shinsuke Nakamura for the WWE World Championship and more. 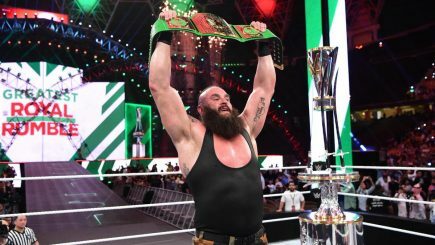 The two run down the results of the entire show, discuss the controversies coming out of it, and read your feedback from the POST Wrestling Forum. 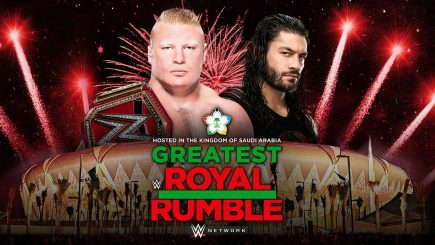 POST Wrestling’s coverage of the WWE’s Greatest Royal Rumble event from Jeddah, Saudi Arabia with Brock Lesnar defending the Universal title against Roman Reigns in a steel cage match, a 50-man Royal Rumble, a ladder match for the Intercontinental title, and a Casket Match with The Undertaker vs. Rusev. Braden Herrington is joined by his new co-host Davie Portman as they chat this week’s episode of WWE NXT featuring a huge angle between Johnny Gargano & Tommaso Ciampa, an impromptu NXT championship match, and Adam Cole vs. Oney Lorcan for the North American title. 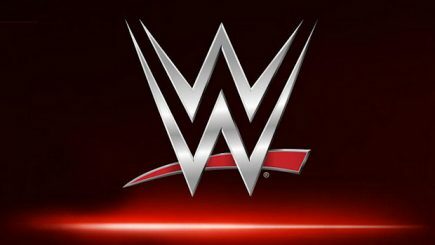 The WWE prepares for one of the most controversial events they have produced, a preview of the card, Ronda Rousey speaks about her losses in MMA, Sean Waltman notes that Shawn Michaels was asked to do Rumble match, review of NXT, Michael Bisping teases retirement, Frank Mir vs. Fedor Emelianenko, and more. We have lots of notes on the WWE’s Business Partner Summit, Paul Levesque outlines plans for “Global Localization”, Raw viewership drops this week, Bruno Sammartino & Motoko Baba honored by AJPW, Block B winner of Champion Carnival, more named added to “All In”, and more. 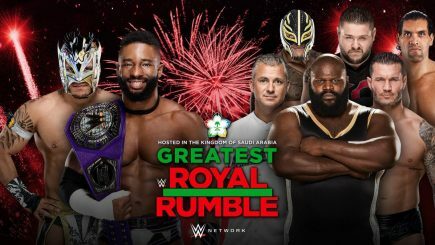 On Tuesday’s episode of 205 Live, Kalisto won the Gauntlet Match to earn the Cruiserweight title shot against Cedric Alexander this Friday at the Greatest Royal Rumble in Jeddah, Saudi Arabia. 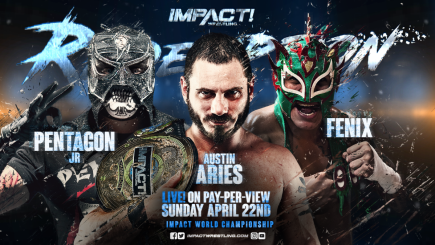 We have several notes from Tuesday night’s Impact Wrestling television taping in Orlando with matches scheduled to air over the next few weeks. Paul Levesque addresses the gender restrictions for the Greatest Royal Rumble defends WWE’s decision, broadcast outlets for Friday’s show, Paul Heyman not going to Saudi Arabia, Zack Ryder suffers a knee injury, Ronda Rousey vs. Mickie James advertised, on-sale date for NJPW in San Francisco, and more. 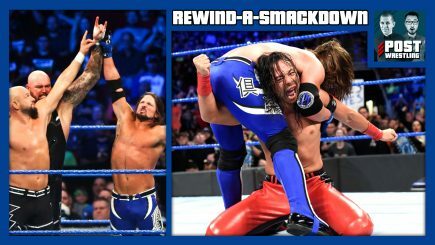 Reader Blake Sims provided a live report to POST Wrestling, covering Monday night’s SmackDown house show in Kentucky with AJ Styles defending the WWE title against Shinsuke Nakamura and Carmella vs. Charlotte vs. Becky Lynch for the women’s title. The WWE pays tribute to the passing of Bruno Sammartino, Raw gives a final push to its matches ahead of Friday’s Greatest Royal Rumble, and Ronda Rousey gets physical in Natalya’s defense. 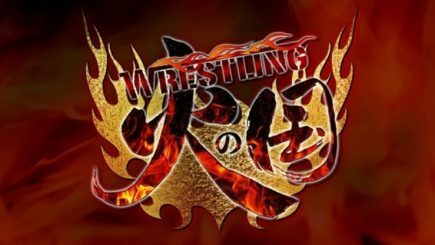 Wai shares his thoughts on the excellent Bruno documentary that premiered tonight on the WWE Network. John talks about the death of Motoko Baba. 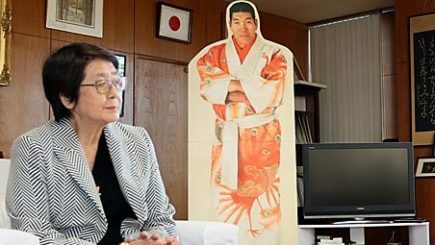 It was revealed in the press that Motoko Baba, the widow of Shohei “Giant” Baba, and former owner of All Japan Pro Wrestling died earlier this month. John Pollock is joined by Keep It 2000’s Nate Milton to review Impact Wrestling’s Redemption pay-per-view. The two go through the full card and take your live feedback from the event. 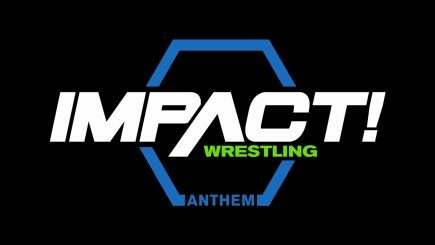 They discuss the state of Impact Wrestling in 2018, what worked and what didn’t on the show, and whether or not Impact Wrestling has been “redeemed”. 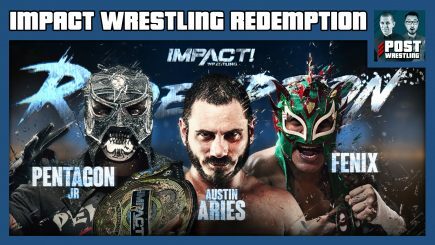 John Pollock goes through the Impact Wrestling “Redemption” pay-per-view event from Orlando, Florida, featuring Austin Aries vs. Pentagon Jr. vs. Fenix for the Impact title, Matt Sydal vs. Petey Williams for the X title, LAX defending the tag titles against Eli Drake & Scott Steiner, and more.